Today, The Africa-America Institute (AAI), joins the world in mourning the passing of South African President Nelson Mandela. A great son of Africa, throughout his life Mandela stood for justice and peace in South Africa with grace and tenacity. Despite the enormous obstacles and crippling burden of apartheid, he envisioned a nation where all people had equal rights and freedom. 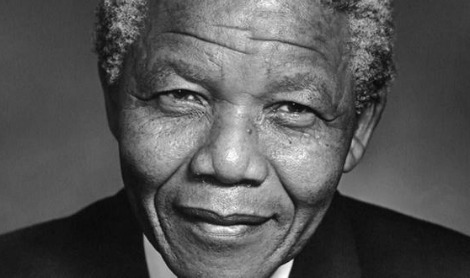 Mandela was committed to education and was a lifelong educator. He once said: “Education is the most powerful weapon which you can use to change the world.” Education was a way to break down barriers and foster peace. Few knew that while he was imprisoned on Robben Island, he taught his fellow prisoners and even illiterate Afrikaaner guards to read. A longtime friend of AAI, we honored him in 1992 for leading the struggle against apartheid and commitment to education, development and democracy. Nelson Mandela steadfastly believed in AAI’s mission of advancing education to bolster development on the African continent. “AAI helps to empower our people and give them opportunities to acquire knowledge and skills, technology and equipment to make them better citizens,” he remarked about AAI. As we remember Mandela’s life and legacy, we must commit to redoubling our efforts to expand access to education on all levels in Africa to accelerate development progress and to build a strong educated and skilled workforce. Thank you Madiba for your commitment to education and dedication to empowering all people worldwide!